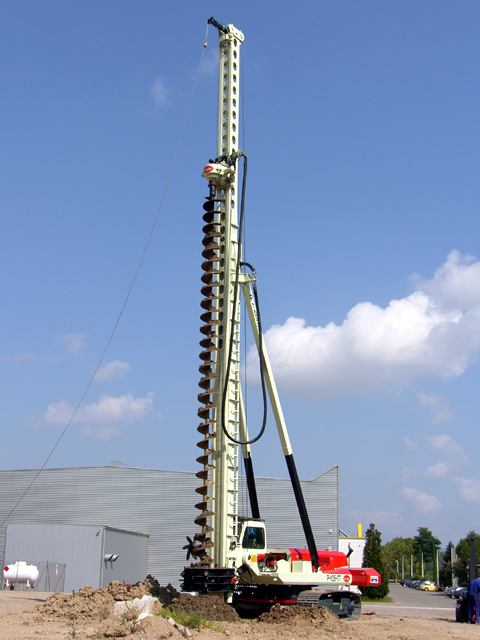 Piling rigs drill holes into the ground at diameters ranging between 300 and 1200mm. To drill these holes, piling rig machines use a large, circular auger. Once drilled, the holes left are filled with liquid cement before a wire basket cage is lowered into the cement to reinforce the structure. To watch a pile rig in action, watch this video. 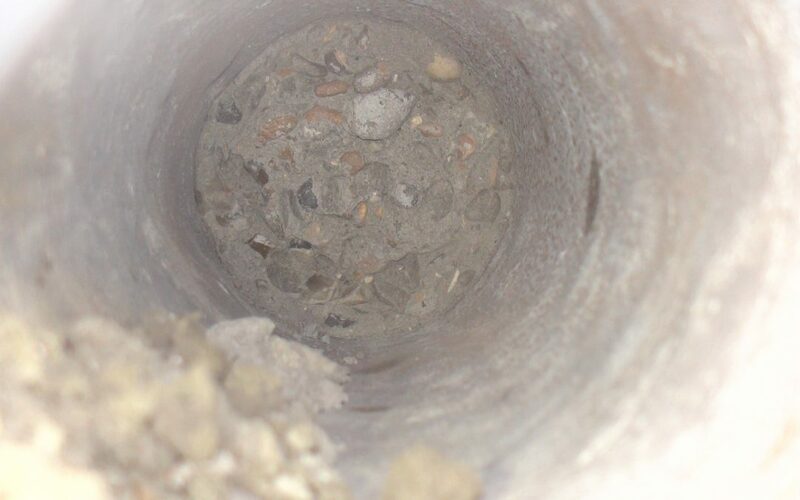 During the piling process it is easy to forget that the machines are full of wet cement. Unfortunately, when forgotten about, this cement hardens and renders piling machines completely useless. Recently, Hydroblast was tasked with sorting out this exact problem in not just one, but two piling rigs! 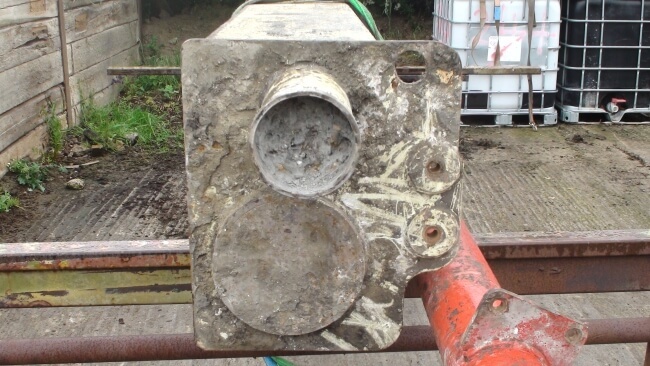 The concrete, having set hard in the pipes of the machines, needed to be removed and time was of the essence! One of the Blocked Pipes. Experts at cleaning pipes of all shapes and sizes, Hydroblast readily accepted the challenge. To complete the job, the team used a rigid extended hand lance attached to an ultra-high pressure demolition jet. With the help of this water jetting technology, Hydroblast effectively cleared the concrete from the pipes in next to no time. In the Process of Cleaning One of the Pipes. 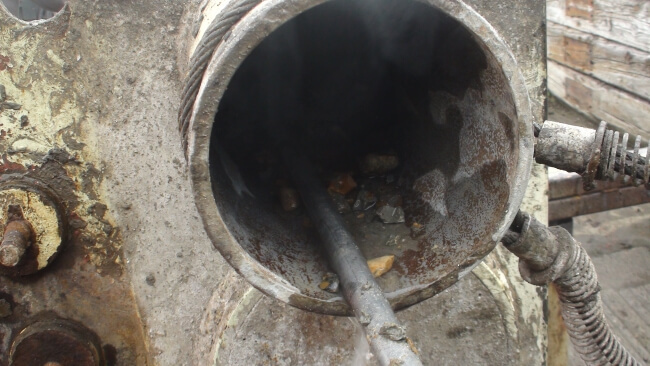 If you have a pipe cleaning project and would like to request our expertise, contact us today.